You’ll often hear kids say, “I’m sorry, but…” and follow their apology with an excuse. Parents need to know this: if your child is in the habit of making excuses and not owning his mistakes, he’s not learning how to take responsibility for his actions. It also means he won’t be able to change the thinking that led to the inappropriate behavior in the first place. The truth is, children start to develop their excuse-making habits as soon as parents begin asking them “Why did you do that?” And the child’s goal is really clear: they don’t want to get blamed for something, they don’t want a consequence, and they don’t want to face their parents’ disapproval. 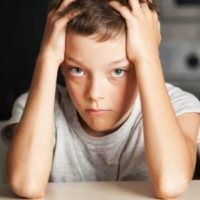 In fact, when kids first become verbal, you’ll start to see them make excuses for their behavior—and at that very young age, it’s mostly harmless. But as children get older, they often begin to use excuses and blaming in order to avoid being held accountable for inappropriate behavior. And without accountability, there is rarely genuine change. Know that in some cases, your child is using the words “I’m sorry” just to manipulate you. Now, when I say “manipulate,” I don’t mean it in the sense of cunning or criminal behavior. In this case, manipulation is the act of trying to get someone to do something for you. So puppies manipulate, kids manipulate. In other words, “I’m sorry” is the manipulation your child is using to satisfy or placate you so you won’t be angry—and they won’t get into trouble. Maybe the person is really sorry, maybe not. But if they’re giving you a “but” with it, they’re not willing to take responsibility. And thus the behavior being apologized for will just continue. In the previous two statements, the person owns what they did and owns what they’re going to do differently next time—and that’s the key. I want to be clear about this: apologies are good things. If you’re sorry, say you’re sorry. If you’re sorry because it’s a social custom or it’s the right thing to say, go ahead—nobody should ever be berated for apologizing. But if your child says it and puts an excuse behind it, that excuse has to be challenged. So it’s fine if your kid says “I’m sorry”—that’s good manners. But when he follows that with, “I was wrong,” he’s taking responsibility for his actions. And when he says, “Next time I’ll do this,” he’s solving the problem differently in his head. It’s a very different learning experience on the part of your child. In actuality, that doesn’t solve anything—it just gets your child off the hook. But if he can admit he was wrong and explain what he’ll do differently next time, he’s really owning his mistake. He’s solving the problem by accepting responsibility for his actions. This is a very important and powerful difference, and I think it’s one that parents really need to pay attention to. Below are 4 ways to put an end to the “I’m sorry but…” habit of making excuses instead of accepting responsibility. If a child is in the habit of blaming others for his inappropriate behavior, I think it’s important to challenge him each and every time he does that. As much as you can, try to talk those things out with your kids. You can also say things like, “What’s the problem?” to help kids learn to identify the thing they actually want to work on or change. The more kids think about things they have to do in life as problems they need to learn to solve, the better. That way, by the time they’re adults, they’re learning how to solve the problem of feeding themselves, housing themselves, clothing themselves. And they solve that in a million different ways: by getting a job, by being respectful to their boss, by being able to get along with people enough to ride the subway, and by learning how to follow the traffic laws and drive to work. 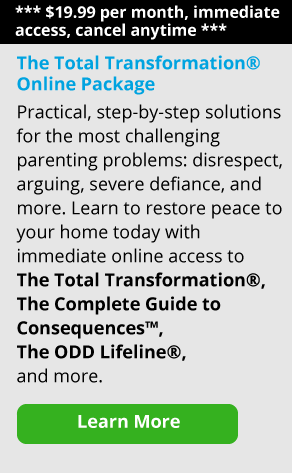 Here’s the bottom line: your child can go through life trying to solve his problems by (1) blaming other people and giving false apologies, or (2) by owning his problems, admitting when he is wrong, and being accountable for his actions. The first approach will lead your child to a dead-end of excuse-making, blame, and misery. The second approach, though, is much more constructive and healthy and will prepare your child much more for adulthood. Believe me, it’s a great day for parents when they’re able to say to their child, “Yeah, that is a problem. How do you think you can solve it?” or “Do you want my help solving it?”—instead of having their child yell at them or slam a door in their face. The truth is, the only way your child is going to understand this way of thinking or be able to use that kind of language is if you start using it. It’s not an easy task, but when you introduce these kinds of ideas into your parenting style, it enhances your repertoire of parenting skills. Remember, skills empower parents, and empowered parents can empower their children to meet life’s problems successfully.